This examination is being given to fill multiple vacancies in the Human Services Agency Child Protective Services bureau and to establish an eligible list to fill future vacancies as they occur in other areas of the agency. Resumes will not be accepted in lieu of an application. A completed application must be postmarked or received online by the final filing deadline.  The San Joaquin County Human Services Agency is seeking applicants who are interested in providing leadership to staff and committed to assisting children and families involved with child protection services through the use of multiple tools and strategies designed to be more inclusive of families and community support. The Social Worker Supervisor II in the Child Protective Services bureau is responsible for supervising a variety of staff performing professional social work duties in the areas of child protection, family preservation and reunification services, and permanency planning for children who are unable to be cared for by their biological parents. This position, following specific administrative guidelines, will supervise, plan and organize the work of an assigned unit. All offers of employment are contingent upon successfully passing a DOJ Live Scan background and pre-employment drug screening. Plans, assigns, and reviews the work of a group of social workers engaged in providing social services and related functions; and instructs new workers in the procedures and techniques of interviewing, case recording, conducting assessments and evaluations, and developing service plans. Deals with client complaints regarding services and refers problems to other agency staff as appropriate. Participates in establishing and maintaining effective social service programs; assists in assessing service needs of the community; evaluates effectiveness of social service programs; and recommends appropriate changes. Assists in developing community resources. Analyzes and interprets social service regulations, policies, procedures, and contracts; reviews cases to ascertain conformance with legal and procedural standards; and serves as information resource person for other staff members regarding specific services. Explains departmental functions and goals to community groups, local government officials, and other agency representatives; ensures that individuals entitled to services are made aware of service programs; interprets the scope and limitations of departmental programs to recipients and other interested parties; and researches and answers public inquiries and complaints. Evaluates the effectiveness of policies and procedures. Coordinates social service programs with other involved agencies and individuals to ensure effective delivery of services; participates in developing uniform guidelines and procedures. Reviews and develops interagency agreements relating to the provision of services for approval by administration. Develops and participates in outreach, staff training, and public information of the specific program area. Directs research studies and prepares reports. Enters and retrieves information from an automated computer system; assists with training and problem solving for Social Workers. Education: A master’s degree in social work from a recognized school of social work based on a two-year program that included supervised field placement. Experience: One (1) year as a Social Worker V that must be post-qualifying master’s degree paid social casework experience in San Joaquin County. Experience: Three (3) years paid of full time, post-master’s social casework experience. Education: A master’s degree from an accredited college or university in counseling with a specialization in Marriage and Family Therapy (M.F.T.) based on a two year program with coursework sufficient to meet State standards for an M.F.T. license which included supervised field placement as part of the course. Verification must include the possession of an M.F.T. internship number. Experience: Three (3) years of paid full time, post-master’s social casework experience. License: Possession of a State of California M.F.T. license. License: Possession of a valid California driver’s license. Principles and techniques of supervision, training, and casework consultation; basic human behavior; social work theories, principles, and casework techniques; interviewing techniques; social and economic needs of the service population; basic management principles; the function of public social service agencies and the principles of public social service administration; social research methods; principles, methods, and resources in the field of public health, mental hygiene, education, correction, and rehabilitation as they relate to public social service; principles of community organization; resources available in the community for referral or utilization in social service programs; and applicable laws, rules, and regulations. Communicate orally with a wide variety of people; read and understand technical social work material; interpret and apply rules, regulations, policies, and procedures; classify case problems and evaluate the effectiveness of effort in solving problems; analyze a situation accurately and adopt an effective course of action; apply effective interpersonal skills; develop and maintain cooperative relationships with community groups and resource agencies; relate to clients; evaluate workers' performance; and operate a computer. Mobility-Frequent operation of computers; repetitive motion; sitting for extended periods; walking; occasional driving may be required; Lifting-Ability to frequently lift 5 pounds or less; occasionally 5 to 60 pounds; Vision-Constant good overall vision and reading/close-up work; frequent color perception and use of eye/hand coordination; occasional use of depth perception and peripheral vision; Dexterity-Normal dexterity with frequent writing and repetitive motions; Hearing/Talking-Frequent hearing and talking on the telephone and in person; Emotional/Psychological-Constant public contact; decision making and concentration, frequently working alone; exposure to trauma, grief, and death; occasional exposure to noise; emergency situations; Special Requirements-Some assignments may require occasional weekends/nights, overtime, and travel.